Two people received life threatening gunshot injuries in an incident at 307 Breland Street Tuesday morning 30-June. At 02:46, 9-1-1 Dispatchers received reports of two people shot at the location. Walterboro Police Officers arrived quickly and cleared the scene. Firefighter-Paramedic’s found the two adults, one male and one female, in a bedroom of the residence. Both suffered significant injuries. Click here for more information. A 35 year old female received non-life threatening traumatic injuries in a single car MVC at the intersection of Academy Road and Quail Drive Wednesday morning 24-June at 08:29. The 2013 Chevrolet Equinox drove through a stop sign at the end of Quail Drive and struck several trees after it crossed Academy Road. The driver was wearing a seatbelt, but was trapped in the wreckage. Firefighter-Paramedics found the woman conscious in the car. Click here for more information. 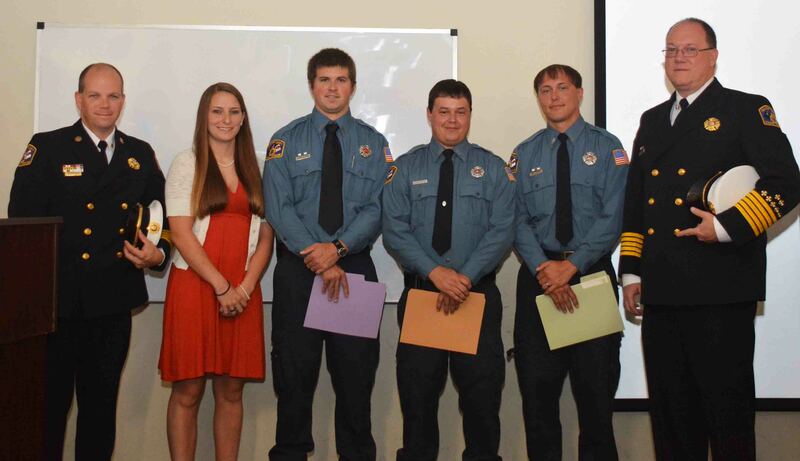 Four Colleton County Firefighter-EMTs graduated from the Paramedic Training Program at Rescue Training in Savannah Georgia Tuesday morning 23-June. The graduation ceremony was conducted at Rescue Training’s Savannah facility at 10:00. The students have been attending the 10 month long, 1500 hour course since September of 2014. Click here for more information. An over-turned LP Truck sent one person to the hospital and closed a portion of ACE Basin Parkway Tuesday morning 16-June. 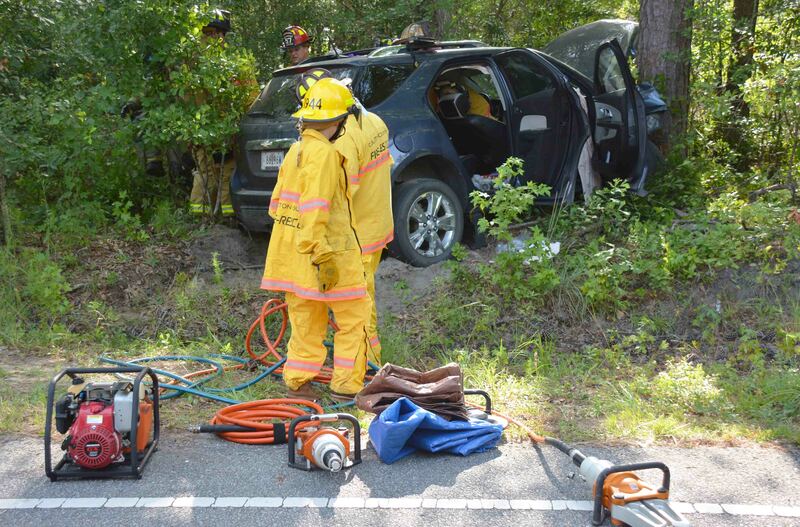 The accident occurred at 09:05 on a rural section of ACE Basin Parkway (US Hwy 17) between Green Pond and Jacksonboro. 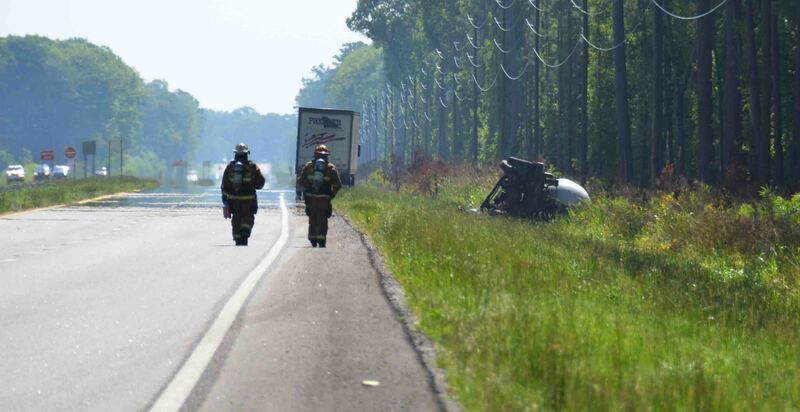 The 1500 gallon LP Truck was travelling northbound when it collided with a northbound tractor trailer. The LP truck entered the ditch and rolled over on its side causing heavy damage to the cab. LP began leaking from the damaged vehicle. Click here for more information. 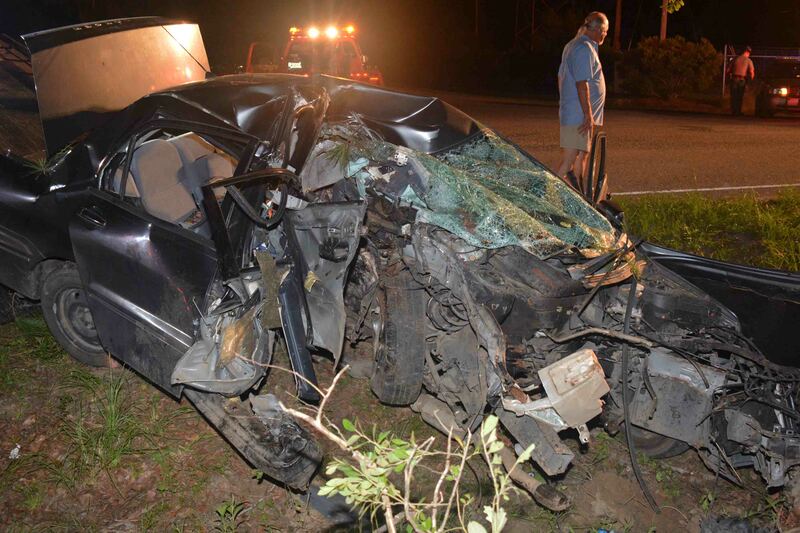 A 30 year old Walterboro man lost his life in a single car accident at the intersection of Quail Drive and Academy Road Monday night 15-June at 22:36. The vehicle had been traveling north on Quail Drive when it ran through a stop sign, crossed Academy Road and struck a pine tree. The impact dislodged the tree and caused massive damage to the small car. The driver died of multiple traumatic injuries and was trapped in the wreckage. Click here for more information. 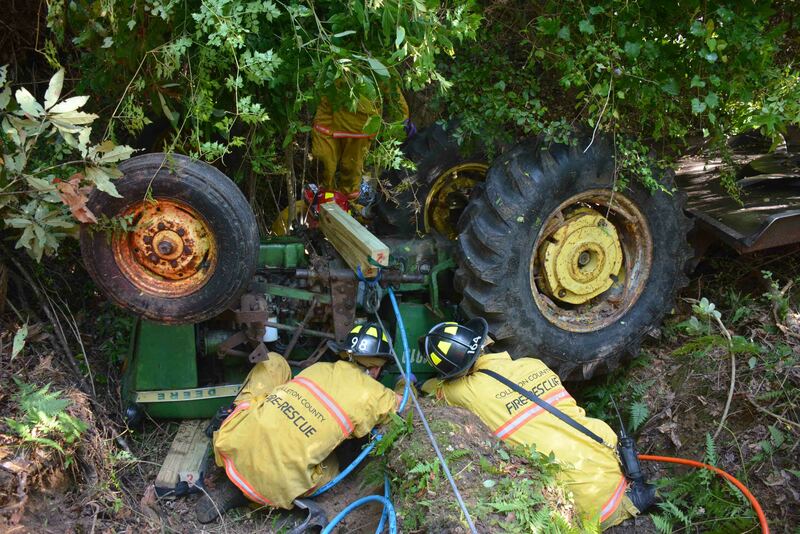 A 41 year old man was trapped under an over-turned tractor for nearly an hour, Saturday morning 13-June. Fire-Rescue was notified of the incident at 08:26 on a path that ran through the woods off of the end of Gary Street east of Walterboro. The man had been operating a tractor with a bush hog, when the unit fell into a ditch and flipped over. The driver was pinned under the tractor in about 6 inches of water. The front of the tractor miraculously landed on a culvert and by the grace of God did not crush the driver. Click here for more information. 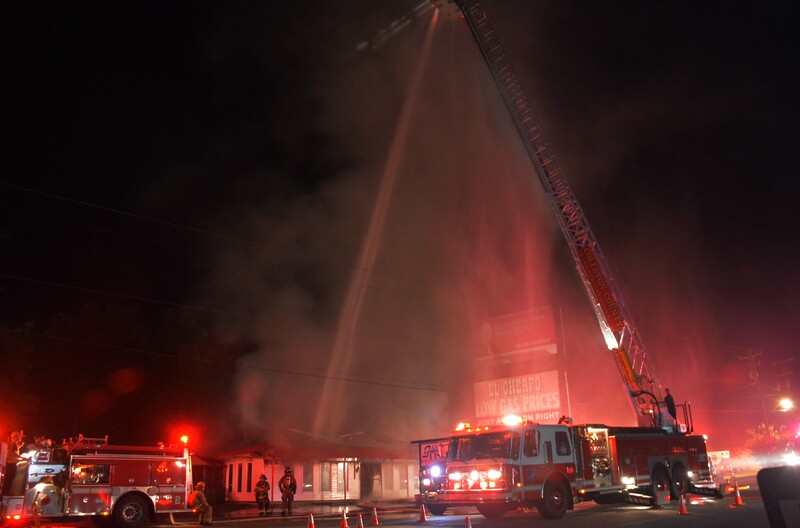 A local Jacksonboro restaurant was heavily damaged in an early morning structure fire Tuesday morning 09-June. At 02:36, Fire-Rescue was dispatched to Flo’s Diner when a passerby noticed flames coming from the roof of the building. The restaurant is located at 16804 ACE Basin Parkway (US Hwy. 17) at the intersection of Hope Plantation Lane. Engine 2 arrived minutes later to find heavy fire conditions in the rear of the approx. 3000 sq. ft. establishment and fire venting from the eaves on both ends of the building. Click here for more information. An adult male received multiple serious stab wounds in a domestic altercation which occurred on Charleston Hwy (SC Hwy. 64) near Horseshoe Creek. The incident occurred Thursday afternoon 04-June at 13:57. The man’s vehicle was eastbound on Charleston Hwy when a female occupant began stabbing him in the right arm with a knife. The man was bleeding profusely from multiple deep wounds when he exited the car. Click here for more information. 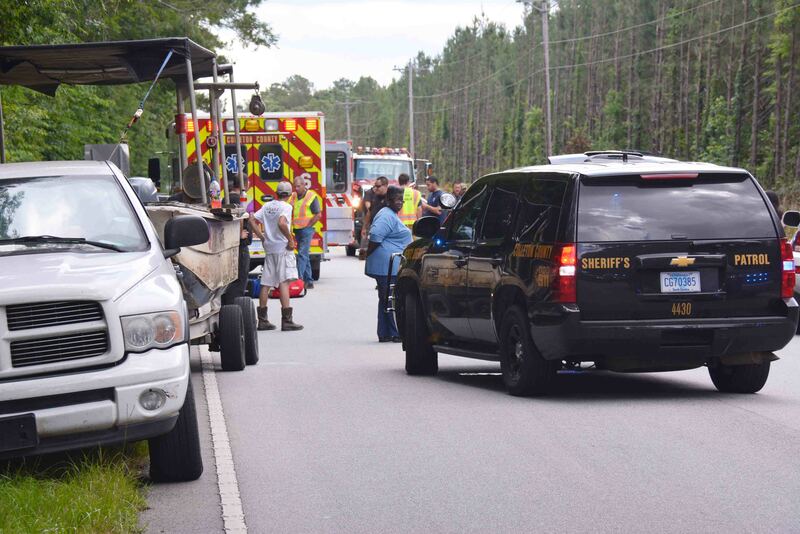 A 39 year old Colleton County man was critically injured in a motorcycle accident in the 6200 block of Mount Carmel Road Tuesday afternoon 02-June at 15:04. 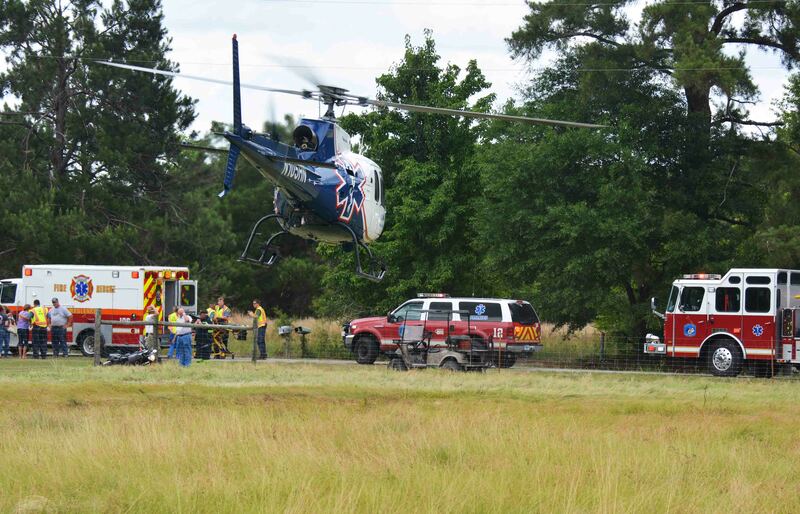 The southbound motorcycle left the roadway and struck a culvert pipe, then became airborne. 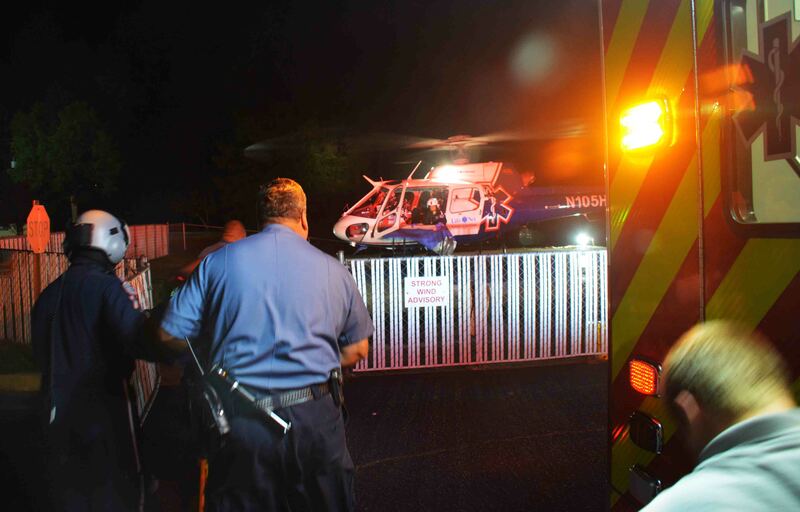 The driver was ejected from the bike which crashed into a wire fence. The driver was found in a field on the other side of the fence. Click here for more information. 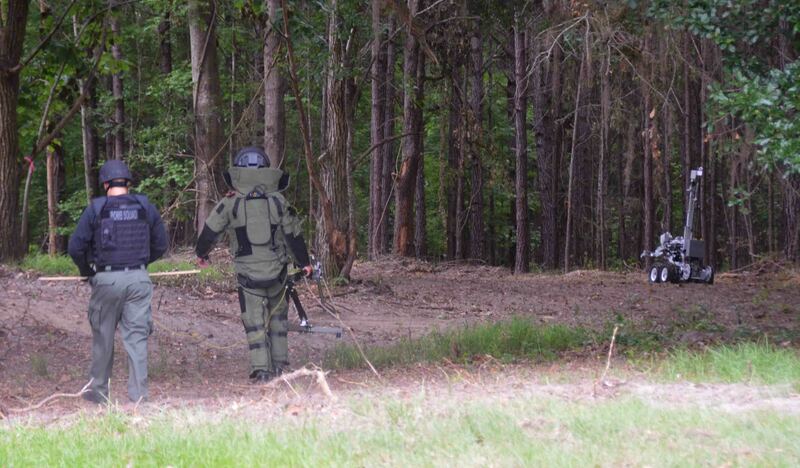 Bomb Technicians from the Charleston County Sheriff’s Office disabled an explosive device found on property in the 6400 block of Lowcountry Hwy. A man clearing land at the location Monday unearthed the device Monday afternoon 01-June and notified 9-1-1. Fire-Rescue units and Sheriff’s Deputies stood by until the EOD crew rendered the device safe. Click here for more information.